Dontcha Just Hate When This Happens? From the not so incredibly surprised department. Gosh lawbreaking lawmakers, what will they think of next? Its not like she has anything to worry about. Ya know, like if she was a judge or something like that. And a school district got screwed out of funds in the process. And here was I thinking the democraps are all in for public education. Meh. JenniRick Snydholm will continue to throw more of other people's money at the problem. That's not including the $929 Million annually. Four years later, is it any surprise? Reminds me of what Garry Post did when he ran against Cindy Denby. Except, Post had his cottage as the homestead, while his "partner" had both the cottage and the Scio Twp home listed. 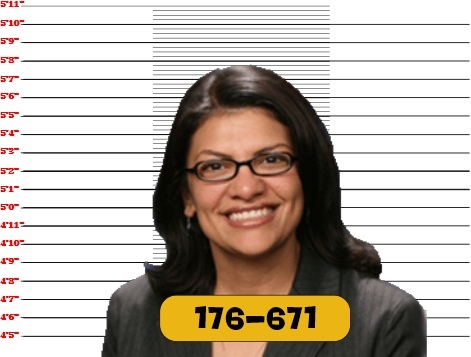 While Garry Post was a Carpetbagger, Tlaib has some tax fraud issues to clean up. What I don't get is how can an "oversight" like this be missed at the state level? Doesn't anyone in Lansing check tax returns for screw-ups like that? Or is this just another example of "professional courtesy"?